Thrifty Thursdays - Spray it & Say it! YEESH! Thrifty Thursdays creep round quick don’t they?! Lately I’ve realised that I’ve been more creatively adventurous this year than probably all of the other years I’ve been alive. I read somewhere recently that creativity is like a muscle that needs to be worked out - and like most muscles, the more you use it, the stronger it gets. It’s been a bit like that for me this last year…trying new things, just having a go with ideas in my head or things I’ve seen on the web. As you’ll remember, my friend Suz roped me into helping out re-decorate our local cafe, Rigmarole, so I volunteered to make a few things to quirk it up. 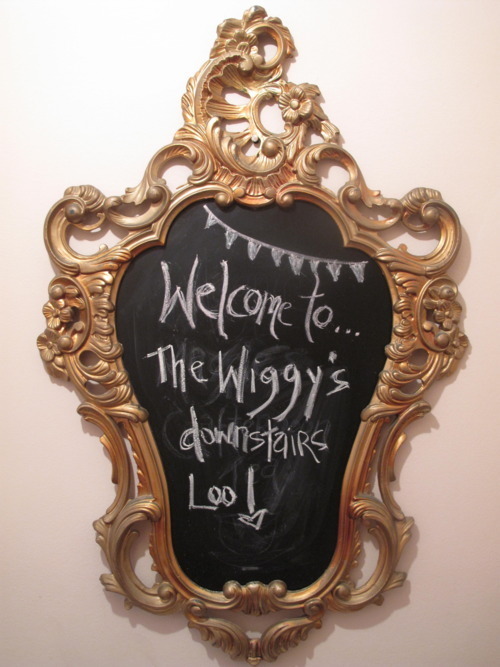 I also wanted to make a new sign for my Magpie Events so - I rooted out a couple of big old guild mirrors that I nervously won at an auction about a year ago, got that chalkboard paint dusted off and went a bit spray paint happy! When the gold one isn’t being used for Magpie, I hang in it our downstairs loo (having more than one loo is more boo than boom). 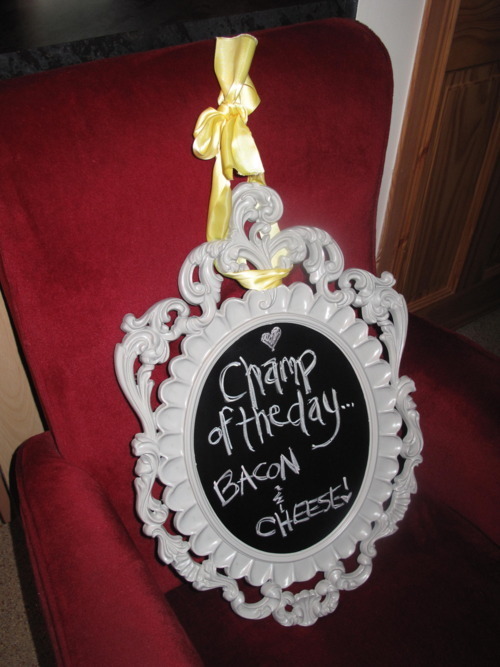 And this baby will be put up on the walls of Rigmarole tomorrow, all ready to declare varieties of champ to the public (their champ is AWESOME). The re-launch of Rigs new look is on Saturday - I’ll do a little post about it next week so you can see the finished look! What’s stopping you flexing your creative muscle? - maybe there’s a project you’ve been planning on doing for ages but you’re worried about messing it up or you don’t know how to even start? Go for it - I promise the more you experiment, the more confident you’ll become. Better still, join our #thriftythursday gang next week and show us how you’ve been thrifty or creative…we are a welcoming bunch - you’d be most welcome!